The UK Cabinet Office is partially privatising its good practice guidance materials in a joint venture with Axelos. They will be ‘gamifying’ the learning of good practice. Their theory is that Nintendo/Playstation is more fun than sitting though a Powerpoint presentation by a suit – so Capita has stumped up the £10m upfront licence fee to buy the materials (or at least a long licence for publishing rights) to turn the boring manuals into ‘interactive exploration facilities’ available by subscription. Is this just a change of channel of publication? Or will Axelos undercut the vibrant ‘ecosystem’ that APMG has carefully cultivated since its inception 13 years ago? 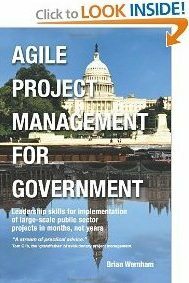 APMG currently accredits the very succesful PRINCE2, ITIL, MSP and Agile Project Management Practitioner examinations amonst many others. So what is my take on Axelos’s strategy? Axelos’s stated strategy is to exploit “the relational aspect of play linking human activity with the activity of the world”, in other words, ‘gamifying’ learning so that it sinks into people’s brains faster. If they are focussed on “investing and developing new products and delivering new methods of learning” – who will be the examining body? Will APMG continue in that role? And what of the existing training providers? The existing international ‘ecosystem’ of training providers, with APMG as a major accrediting body since 2000, involves SMEs to a great extent. What will the impact of the Capita behemoth have on these fleet-of-foot minnows? 78% of survey respondents saw the IT Infrastructure Library (ITIL) growing into a global IT service management standard. I heard complimentary comments about ITIL in the US from the NDIA in Washington DC last week – there is no US equivalent – this will be Axelos’s main target I believe. Click here to read the Axelos press release and gawp at more graphs from their survey. Brian, you really know how to make me feel depressed. So it’s alright to listen to users and practitioners, and treat them as customers rather than being a leader and saying this is the way to go …. Playstation, Nintendo !!! 78% of users may look at Linked in but all they do is have a nose around at peers or update their CV, nothing more !!!! Oh, and stick up a pay wall – isn’t that a good way to be a thought leader on best practice, and to penailse a lot of eople who won’t be able to access this as Company servers will deny access …………..
Well at least the sun is still shining and the earth isn’t round. What concerns me Brian is that a non-public sector body is doing this for commercial reasons. Capita may benefit, but also lose credibility if/as they continue to fail in project/programme delivery. As well, could this be seen as a ‘monopoly’ or would other methodologies now be created to counter their offering – eroding the value of these qualifications (validity, reliability etc)? Frankly, just because they create an e-learning ‘toy’ doesn’t increase its value. Proof and Pudding come to mind – as does the question – ‘So What’! I thought ITIL was about managing a service, and the role of a service and project manager was/is significantly different – as it way performance can be measured. Is it a good idea to conflate these? Much more worrying is that anyone in Cabinet Office is doing project management. “We support the Prime Minister and Deputy Prime Minister, and ensure the effective running of government. We are also the corporate headquarters for government, in partnership with HM Treasury, and we take the lead in certain critical policy areas.” “We have responsibility for: supporting…, promoting…., creating an exceptional civil service,…” So some running of an important service, but that’s all. Delivery is responsibility of others, who can be expected to be reluctant to include the risk of Cabinet Office delivery of even a part of any project they are responsible for. The policy, requirements capture, principles, really need to come before the delivery is called for. When requirements may change then an agile approach is appropriate, and then CO must understand their part in that, including as a resource, but surely not as managers? (Agile is not a sticking plaster for inadequate specification in the first place.) Delivery of a project (within a programme…) also needs to be distanced from everyday politics, whereas coping with today’s priority for the minister is a service. I can see in the blog stats that this Axelos blog has generated a lot of ‘reads’ – esp. in Australia! You are correct in saying that ITIL is service and PRINCE2/MSP and Agile PM exams are about project. Axelos need to realise that these are two different target groups – the smart thing to do is ensure that PRINCE2/MSP projects/programmes plan carefully for handover outputs into live service, and that ITIL service managers are prepared to take on those outputs. MSP (Managing Successful Programmes) places great emphasis on planning to measure benefits in live service, even for many years after ‘go-live’. I agree with you this could be a huge disaster for the best practice eco-system. The APM Group understood the symbiotic relationship because its roots as the training arm of the APM. Capita paid £10m up front and then another £9.5m each year. They also have a big hand in the Civil Service learning contract. We have just seen Maven give up the battle, so that is one of the key players in your eco-system who have gone. I don’t think they will be the last. At Parallel we certainly think the whole thing has become a AXELOS cash machine, with very little to do with improving the delivery of projects for clients. So what is the APM plan B? Visit my blog post for a bit more of my views. http://www.projectaccelerator.co.uk/comment/3504.